In the overall area 78 m2, Barceloneta houses a luminous living room, 3 bedrooms, fully-equipped kitchen, and a bathroom. The apartment has a master bedroom with a double bed and two more bedrooms with twin beds each, thus it can accommodate up to 6 guests. Master bedroom and one of the twin ones have lovely balconies in them. 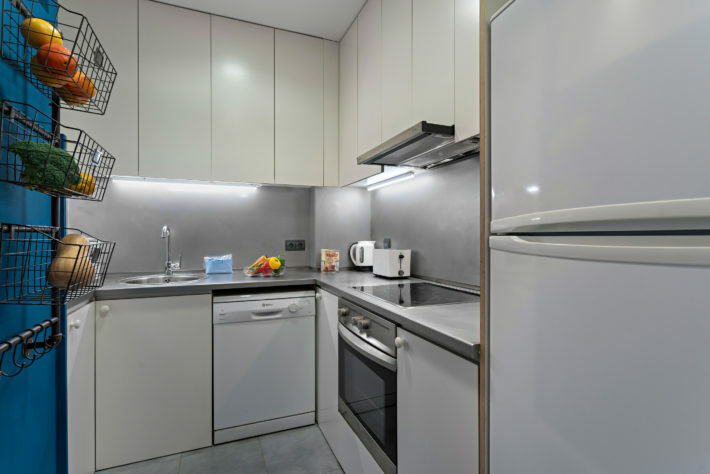 The fully-equipped kitchen features an oven, dishwasher, toaster, microwave, coffee machine, and everything else you might need to prepare an exceptional meal. Having been recently refurbished, Barceloneta has a brand new modern look with blue, beige and gold details, delivering a relaxing, comfortable and homey feel to your vacation home! 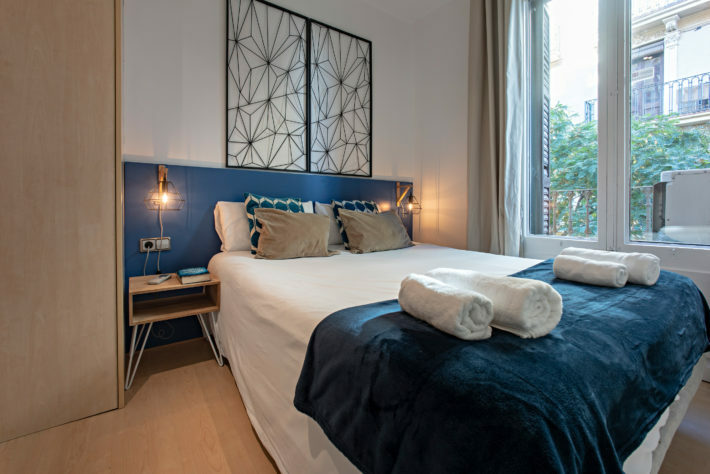 Depending on when you decide to visit Barcelona, you will have a convenient and comfortable stay, as the apartment has both – central heating and central air conditioning – keeping you warm during the chilly early spring days and cool during the summer heat! 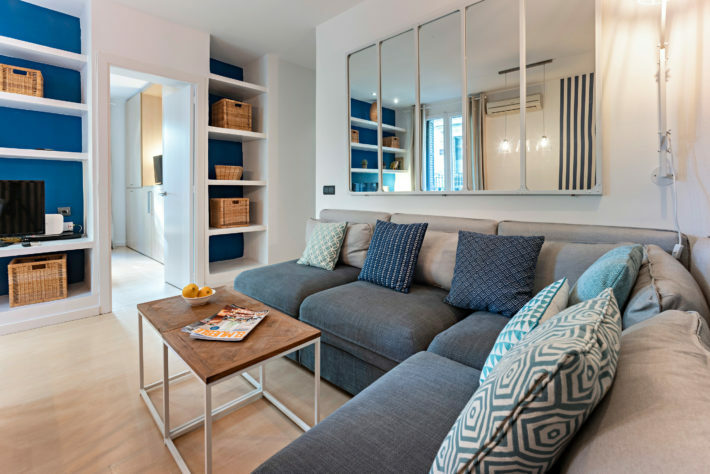 As the name suggests, the apartment is located in the authentic and unique La Barceloneta area in the Ciutat Vella district. La Barceloneta is a marine area and a former fishermen village, constructed in the 18th century and populated due to its’ closeness to the sea. 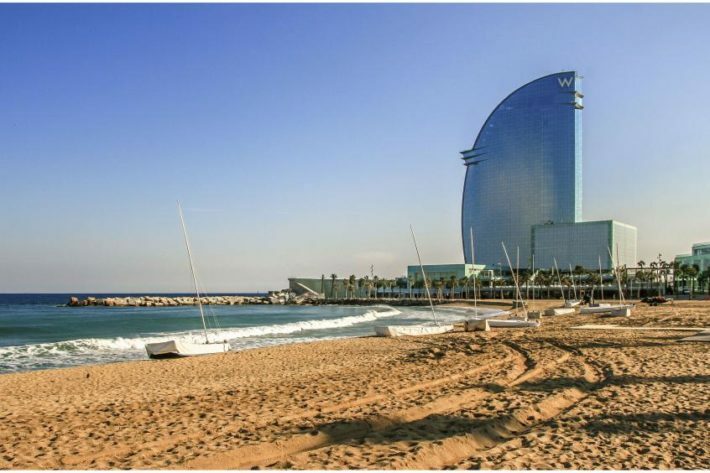 La Barceloneta area is one of the most popular ones in the city and offers plenty of things to do and see. 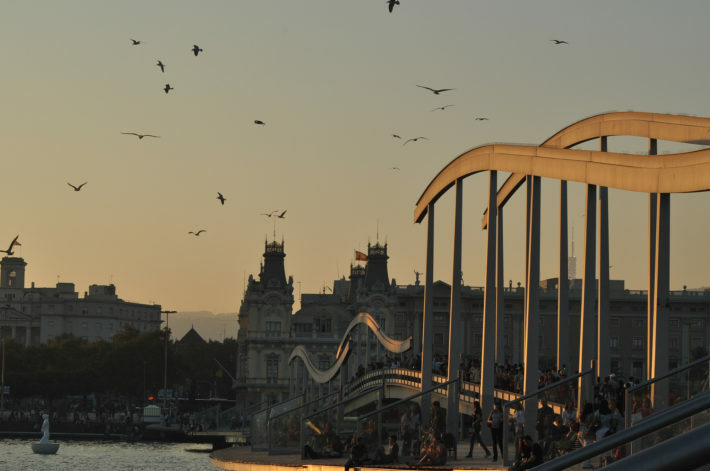 From Catalan History museum and fresh food market to perfect spots for a walk (Port Vell, beach) and other activities (aquarium, cable car). Here you will find some of the best tapas places in the city as well as fresh seafood restaurants! The apartment sits in a perfect spot – a couple of minutes walk one way lies the popular Barceloneta beach, walk the other way and you will reach the lively old town, El Born! In case you need to use the public transport, there are 2 metro stops nearby, both serviced by line L4 – Barceloneta (258 m) and Ciutadella / Vila Olímpica (830 m). Barceloneta beach (0.6 km). Extremely popular beach among tourists and locals throughout the entire year, especially during high season. It is the perfect spot to take a swim, get a tan, play beach sports and enjoy the sun and heat! Santa Maria del Mar (0.66 km). The cathedral is located in the beautiful El Born district and is a fine example of Catalan-Gothic architecture. Maremagnum (0.98 km). Large quirky shopping center located right on the seafront with a beautiful view. Book Barceloneta apartment and you won’t have to choose between enjoying the sea and the city, as the location offers both! You can find more reviews on the apartment website, under the section “reviews”.